Christmas is coming soon. 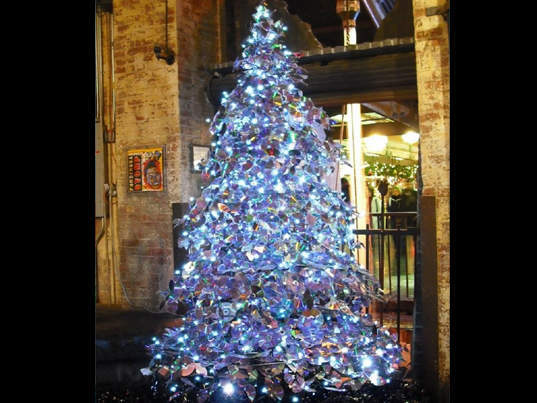 People around the world erect their Christmas trees and decorate them as merrily as possible. These Christmas trees below are quite interesting. 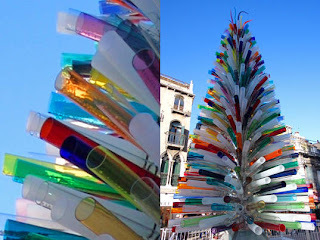 They are not of real trees that are cut down; instead, they are made of recycled goods. Check them out. 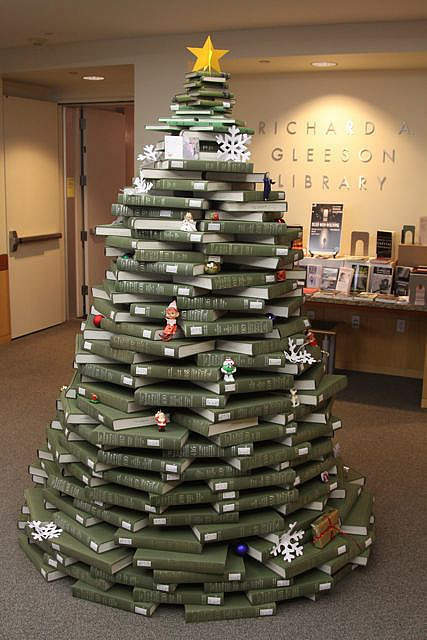 Save the trees by building your own Christmas tree with library books, like what these young book lovers at Gleeson Library in California did. This amazing Murano Glass Tree compiled of 1000 Murano glasses was installed in Venice, Italy. It's 28 feet tall and 10 feet in diameter. 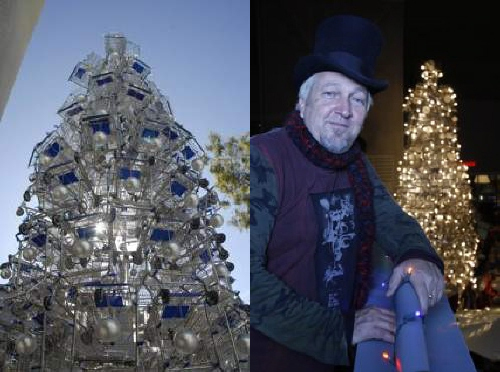 Anthony Schmitt was inspired to make this shopping cart tree by the 1960's aluminum tree. 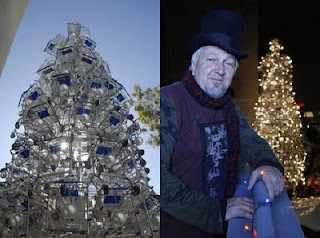 He made it come true in 2009 by building this tree consisting of 86 shopping carts. 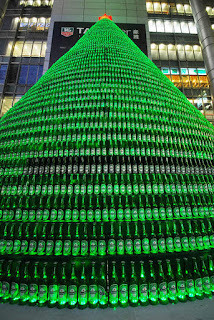 This Christmas tree is made of 1000 Heineken beer bottles and is placed on the road of Nanjing, Shanghai. Have you got a lot of unused CD's that are just lingering around, dusting? 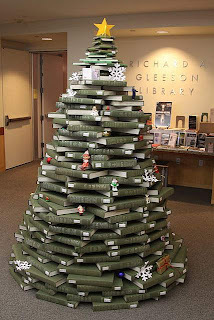 Why not turning them around to a beautiful Christmas tree like what artist Tom Deininger did? 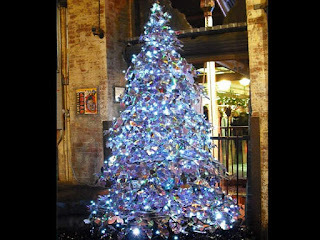 This CD and cassette tape tree was installed in 2010 at the Chelsea Market in NYC. They're pretty fun, aren't they? Most importantly, this act saves most trees from being chopped off for the holiday season. 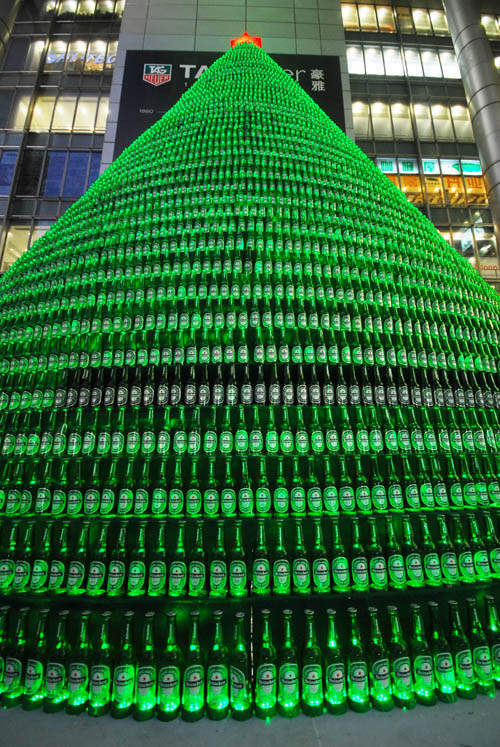 Build your artificial Christmas tree, whether it's made of glass bottles, plastic bottles, jars, or anything you can see and think of around you, it'll keep another tree alive for another season.